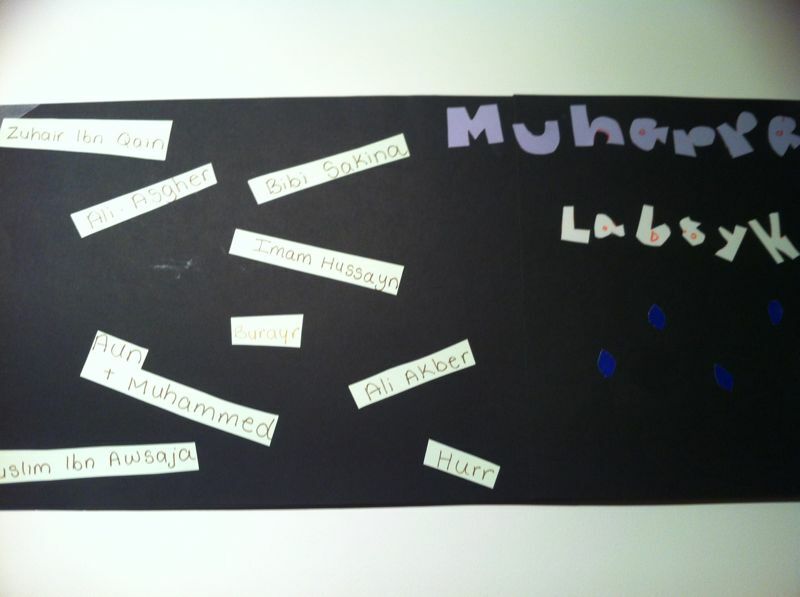 As Muharram approaches us every year, I ponder over how to create an atmosphere in the house to give the children a sense of understanding and importance of the next two holy months. This year, I created a banner with various vocabulary applicable to my children’s ages. I placed it opposite their bunk bed so that they are able to see it before going to bed. It is to be a source of discussion every night.